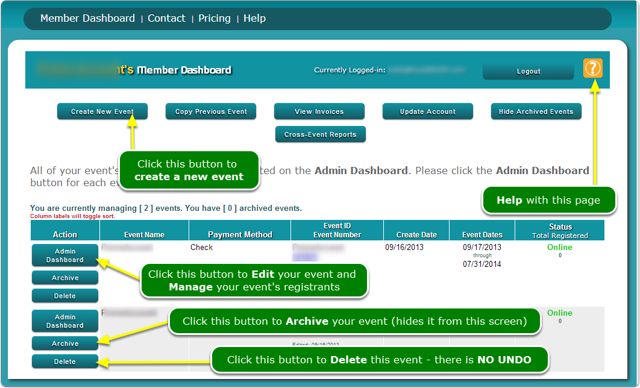 Help Documents - Version 5 The Member DashboardHow do I create a new event? If you are not logged in, Login to your member account on rsvpBOOK.com - How do I get to the Member Dashboard? Click the Create New Event button. 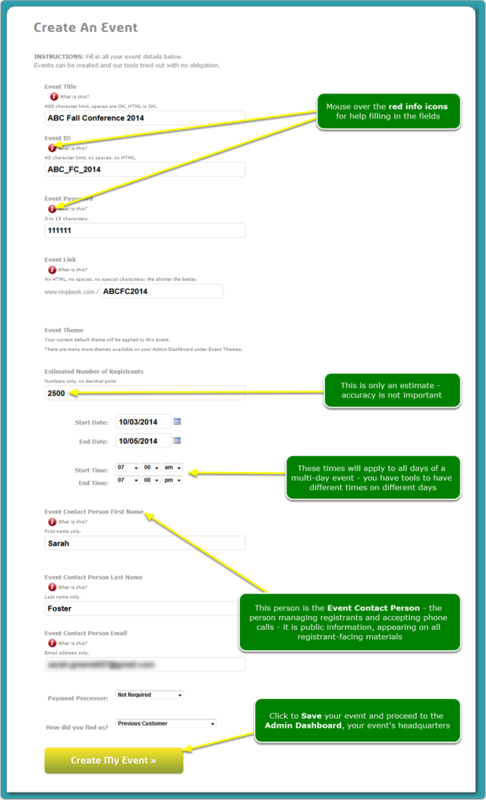 Fill in your event's details. If you don't have the correct information or are not sure of something, go ahead and enter something; every field can be changed later on, if necessary. You will do all of your event's work on this Admin Dashboard. 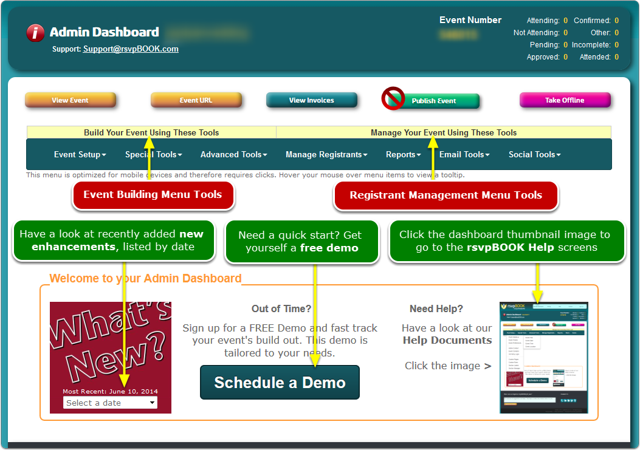 Each event has its own Admin Dashboard. Prev: What is the Member Dashboard? Next: How do I Copy an Event?